High quality patient care is central to sustaining a safe and reliable healthcare system. With this in mind, the Patient Care Quality Review Board introduced legislation in 2008, requiring all six BC Health Authorities to establish a Patient Care Quality Office (PCQO) to receive and track quality of care complaints, as well as requests for information and compliments. The BC PSLS Complaints Module is used by all Health Authority PCQO’s for this purpose. In late 2011, the PCQO at Island Health (VIHA) began to look for ways to standardize their file management processes. While the Review Board’s legislation identified what kind of information the PCQO should collect and monitor, the Island Health PCQO team felt that they needed a more standardized approach to facilitate their work and, more importantly, ensure that the information they were sharing with Island Health clinical programs was complete, consistent and accurate. “The legislation certainly helped to guide us in our work, but the BC PSLS Complaints Module is very extensive and we wanted to optimize the system fully,” says Robert Awai, Officer. 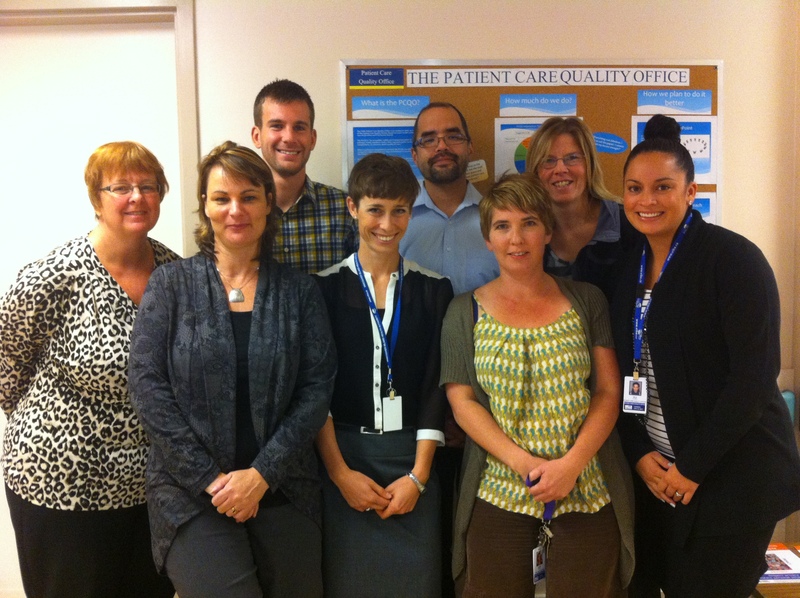 In early 2012, the Island Health PCQO team worked together to develop internal data standards. Their priorities were to create a standardized model that would allow them to continue to meet the Review Board’s reporting requirements, and reap the full benefits of the BC PSLS analytics tools (SAP Business Intelligence), while aligning with the practices of other Health Authority PCQO’s. By fall 2012, the Island Health PCQO data standards were established and put into practice. Today, the Island Health PCQO provides 35 program areas with detailed graphical reports that highlight program-specific complaint data and complaint resolution time frames. With this information in hand on a regular basis, patient care quality complaints are at the forefront of Island Health’s Quality Councils and executive leaders. Standardization of the ‘Date Chain’, ‘Sector’ and ‘Subjects’ fields have been finalized internally by Island Health and shared with the provincial Patient Care Quality Data Subcommittee (PCQDS). Island Health has matched the five ‘Date Chain’ dates (Acknowledged, Actioned, Response, Holding, Replied) to stages in its care quality review process. These five dates match the reporting standards of BC PSLS Central Office and track compliance with the PCQRBA timelines. The Island Health PCQO has standardized its ‘Subjects’ documentation so that each complaint has a defined subject, sub-subject, location, facility and program area. This enables Island Health to clearly associate each complaint with a specific accountability area in the organization. The Island Health PCQO team continues to work closely with all Health Authority PCQO’s and the Ministry of Health to standardize, learn from and share ideas for how to improve patient care. Indeed, their collaborative efforts are helping to identify areas for improvement, which will undoubtedly lead to higher quality care in Island Health and all over BC. The VIHA PCQO team would like to acknowledge Jeff McLaren, Leader, and Angela Jurj, Coordinator, Quality Systems and Processes, for their support in this work. So happy to hear about the progress! Congrats to you all! Having the PCQO is so important for patients to voice their concerns. I was really impressed with how this team has centralized their processes and made their work more efficient. I would love to do a follow-up story. Nice work!